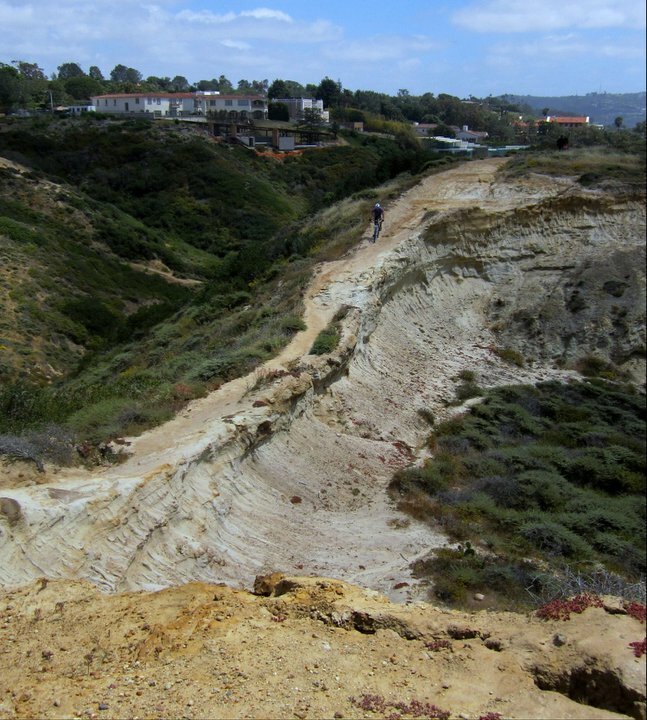 The Story So Far..: California Here We Came! 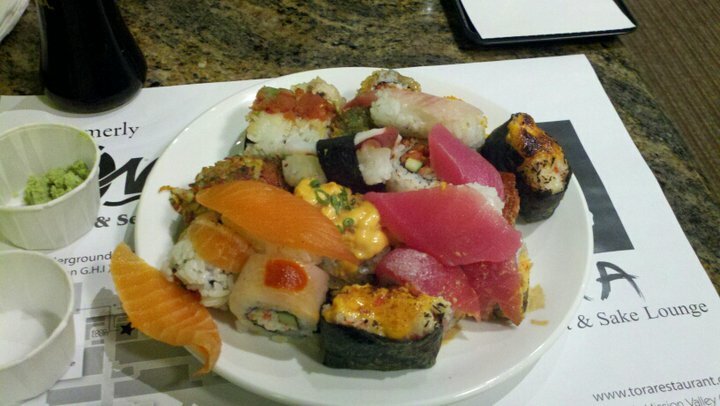 Awesome sushi bar! I'm not a fan of the raw stuff, but Mike was in heaven! We have this Wahoo's thats right by our hotel and we can bike to it after a long day. 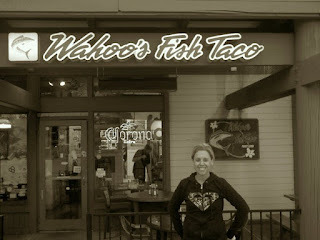 Love their blackened fish tacos...yum! Mike actually is reading! 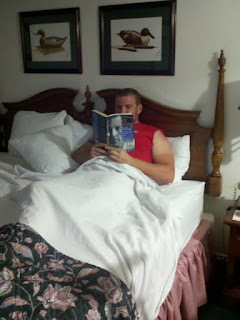 He really was sitting like this when we got back to the room! 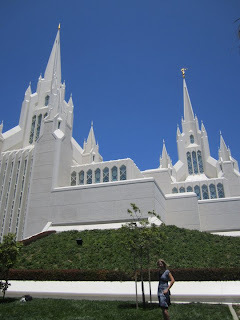 Love love love the San Diego Temple! 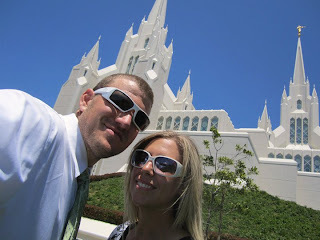 If I wasn't so partial to Las Vegas, I would have this temple at the top of my list of favorite temples. Mike and I actually got to do a session. I say "actually" because every time I have come it was either under construction, closed, or I had people with me that couldn't go. Mike did some urban mountain biking and we found some cliffs in Torrey Pines. 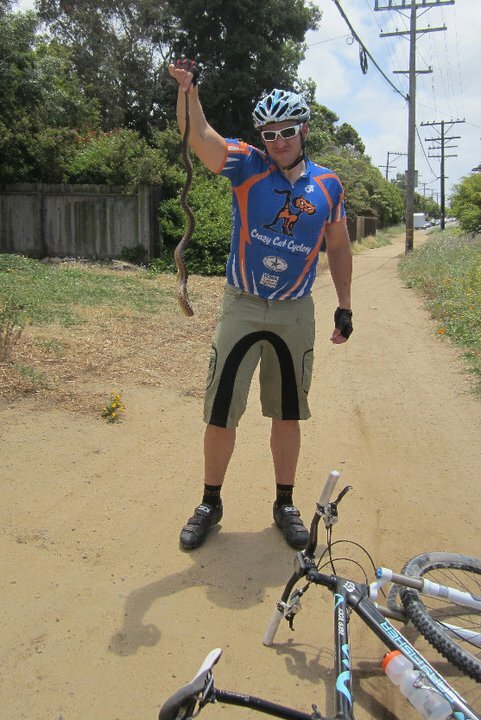 We biked about 20 miles north of San Diego this day, which was about 40 miles round trip. P.S. I had my eyes shut when I took this because I kept freaking out that he was going to go flying over the hill! 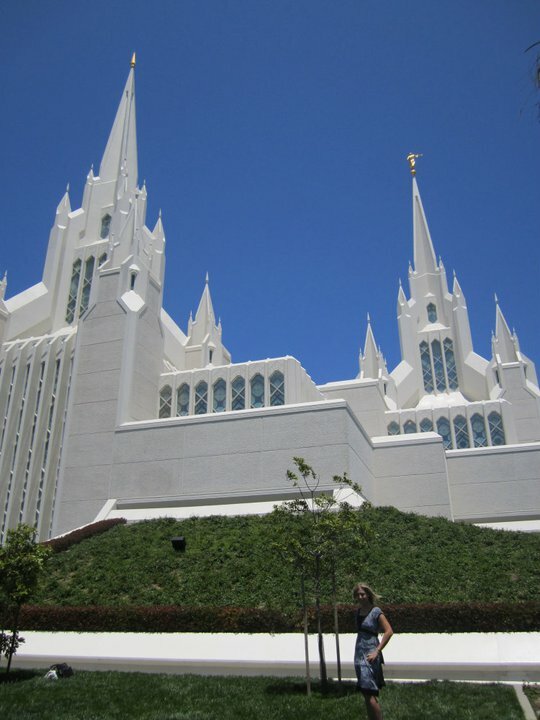 The workers at the temple were so nice. We got to tour the atrium, which was so pretty. The celestial room is two stories! The view from Mount Soledad. 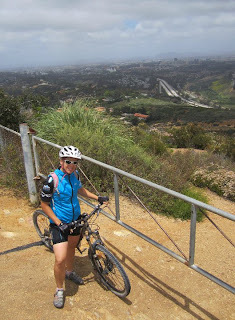 (Yes, we rode our bikes to the top...phew!). If you look closely, you see the temple! 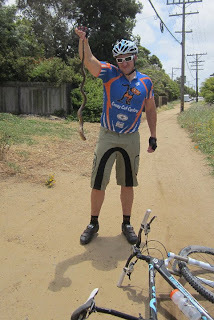 While we were urban mountain biking, we came across this little guy! We really needed this trip and can't wait to go back!